This is a classic old-fashioned hot chocolate, a delicious drink for fall or winter. This version is made with unsweetened chocolate, milk, sugar, and vanilla. 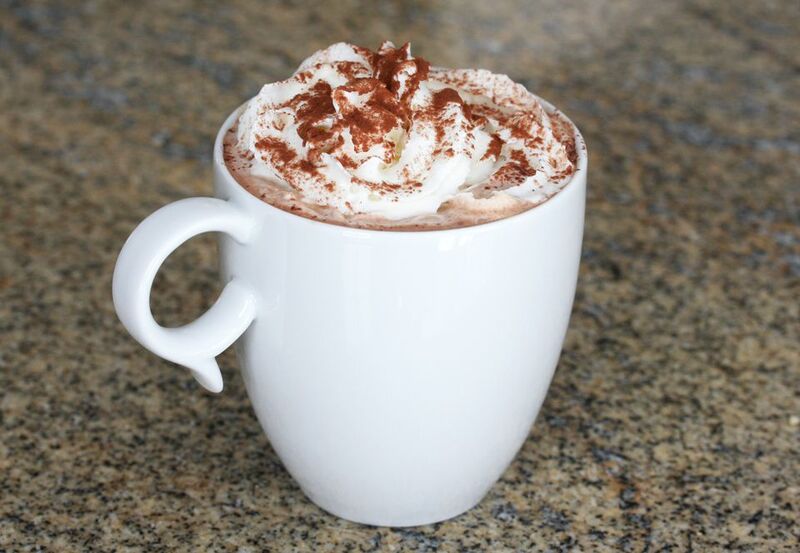 This hot chocolate is the perfect drink for a chilly fall or winter day! Some classic toppings include regular or mini marshmallows or a big spoonful of Marshmallow Creme or Fluff. Or top it off with freshly whipped cream or whipped topping. Hot chocolate is also quite versatile and there are lots of ways to make it your own or take it over the top. Check out the variations below the basic recipe. Make it richer, add some spices, or add some mint liqueurs to the grown-up grasshopper version. Place chocolate, sugar, milk, and salt in a 2-quart saucepan over medium-low heat. Heat, stirring, until chocolate melts and the mixture is well blended. Stir in the vanilla; pour the hot chocolate into mugs and top with a spoonful of marshmallow or whipped cream, if desired. Rich Hot Chocolate: replace 1 to 1 1/2 cups of the whole milk with half-and-half or light cream. Grown Up Grasshopper Hot Chocolate: add 4 tablespoons of creme de menthe and 1 tablespoon of creme de cacao, or to taste. Spiced Mexican Hot Chocolate: add 3/4 teaspoon of ground cinnamon and a dash of ancho chili powder. Add a cinnamon stick to each cup and top with a dollop of whipped cream. Cinnamon Hot Chocolate: add 1 scant teaspoon of ground cinnamon to the hot chocolate mixture. Mocha Hot Chocolate: add 2 tablespoons of instant espresso powder to the saucepan along with the chocolate, sugar, milk, and salt.